Explore Ultracold Plasmas and Quantum Physics With Steve Rolston! Until fairly recently, a “cold” plasma – a gas of ionized atoms – was anything cooler than 10,000 Kelvin. (Kelvin being the absolute unit of measurement for thermodynamic temperature used in chemistry, physics and other physical sciences.) But within the last 15 years, atomic physicists have begun creating and studying plasmas at temperatures approaching absolute zero. Scientists soon discovered that ultracold atoms with electrons in highly excited states can spontaneously evolve into ultracold plasmas. These plasmas are now serving as simple systems to help researchers better understand the plasmas found in white dwarf stars and the interiors of massive planets. 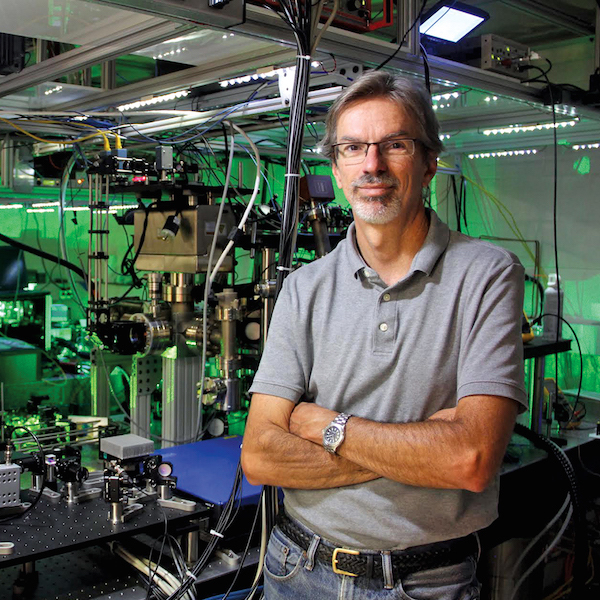 Physicist Steve Rolston led the group that created the first ultracold plasmas in 1999. Today he is professor of Physics at the University of Maryland and co-director of the noted Joint Quantum Institute (JQI) — a research partnership that includes the National Institute of Standards and Technology and the University of Maryland. His work is just one facet of the leading research underway at JQI. The institute brings together noted scientists to study a wide range of physical systems related to quantum physics. Typical research areas at JQI include: the fundamental physics of superconductors that enable the flow of electrons without resistance; ultracold atomic gases that can simulate the behavior of more complex quantum systems that are impossible to model with today’s supercomputers; and quantum information, which aims to use the unique properties of quantum systems for more powerful and secure computation and communication than can be achieved with the realm of classical physics. In their work, scientists at JQI are also keenly involved with community outreach endeavors to educate and motivate students and the public about the excitement of physics. Steve, for example, was recently named a recipient of the University of Maryland’s prestigious Kirwan Undergraduate Education Award for 2014. The award recognized him for his outstanding achievement in engaging undergraduates (majors and non-majors alike) in science education and emphasizing its applicability and importance in everyday life. Steve received his Ph.D. from State University of New York at Stony Brook, and his Bachelor’s of Science from Wesleyan University. His other key professional achievements include being elected a Fellow of the American Association for the Advancement of Science (AAAS) in 2011.